Who are we, out here on Stagecoach Road? 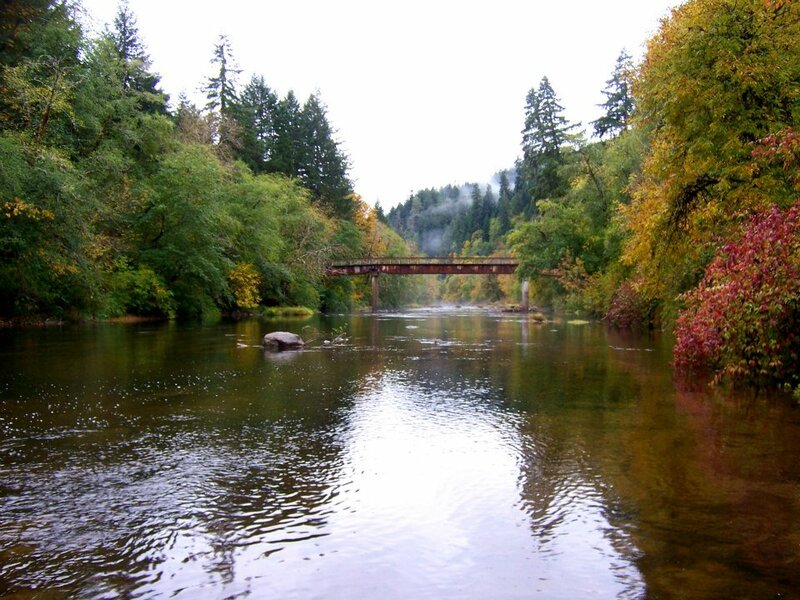 We're Coast Range Mountain folk, just about twenty miles Southwest of Deadwood, Oregon, on a pretty-much pristine river. There are six of us in our small intentional community, and another half-dozen satellite members who brighten our world when they're present. We're artists, and musicians, and random brilliant minds, with various interests and perseverations; worthy sewing machines, of course, and trains. 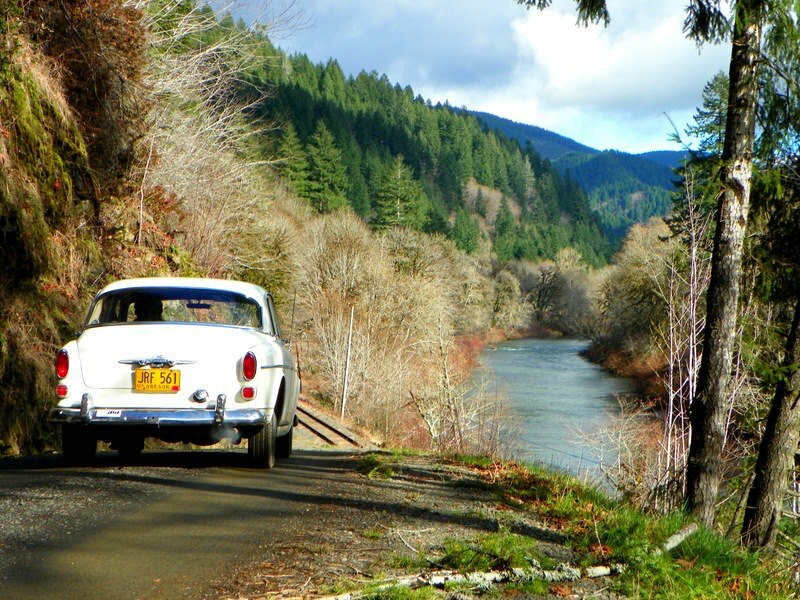 Old trailers and physics, and weather, and citizen science. Bass, baritone guitar, drums, cello, hagstrom, hydro. Video and photography. 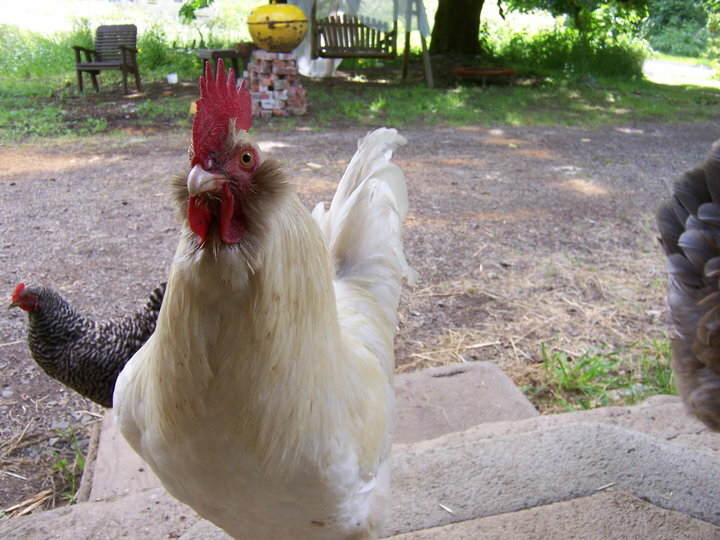 Chickens, blueberries, chantrelles, nettles, blackberries, far-cry roofs, air streams, spartans, shastas. Wood stoves, steelhead, otters, beavers, eagles, and osprey. You won't get any tv signal, but if you stand in the right spot you can get cell, if you're with the right service. And you can pick up a couple of weak radio stations. 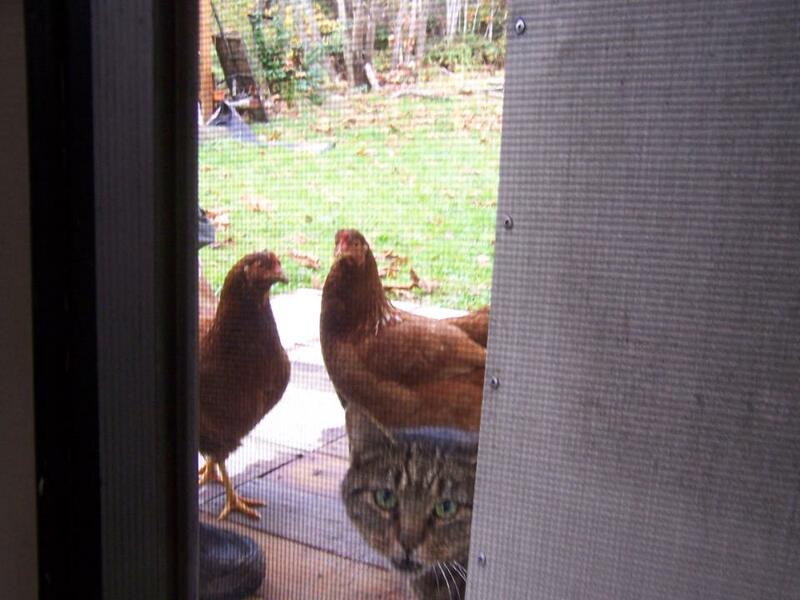 Our closest neighbors aren't close, but they're good neighbors. There are five of us who contribute to the restoration of these beautiful, well-built, irreplaceable vintage sewing machines, and we do so with care and interest. You'll like our work. Mike Kraemer, a lover of things vintage and antique, has collected interesting things for more than 45 years, and acquired his first vintage sewing machine at age 16, a beautiful White treadle machine. He has a degree in computer engineering, and worked for several years as an electronic cash register tech. He was introduced to sewing machine repair by his friend, TR, about 20 years ago. To see what Mike's customers say about his work, check out his feedback profile on eBay to see more than 200 glowing reccomendations. TR Kelley comes from a long line of stitchers. Her great-grandfather emigrated from Denmark in 1888 to open a tailoring business in Council Bluffs Iowa. Her grandfather managed a menswear store and her father did the household mending and altering. TR got her first sewing machine at age 12, a Singer 192K Spartan. She sewed costumes and reenactment attire for money in her teens, and spent her allowance on fabric. Lured by employee discounts on fabric, TR went to work for House of Fabric / Singer in 1986 doing sewing machine and serger demonstrations, sales and minor repairs. A steady flow of old customer trade-in machines and a library of service manuals was an exciting combination from which to learn the entire Singer sewing machine product line - and how to fix it. 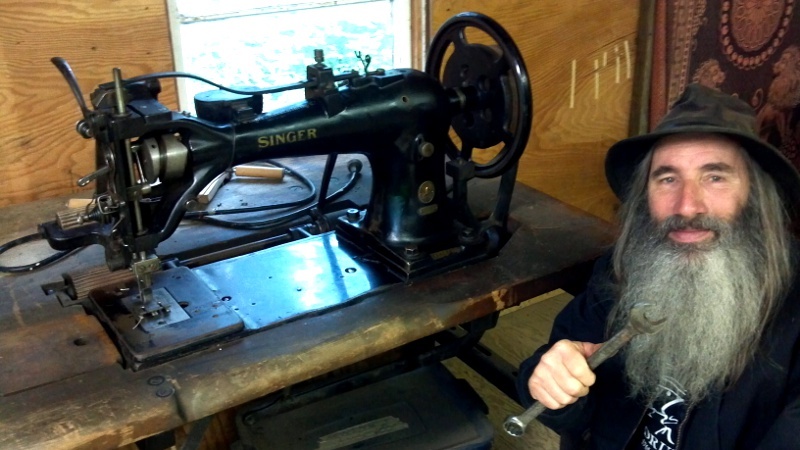 TR left Singer in 1989, but has retained a love of well-built older sewing machines and their care and feeding. And she still sews. TR is a musical (and all-around) genius and local celebrity, educated in sewing machine repair by Singer repair technicians in their spare time. With her amazing ability to focus in on every detail, she is meticulous about her work. 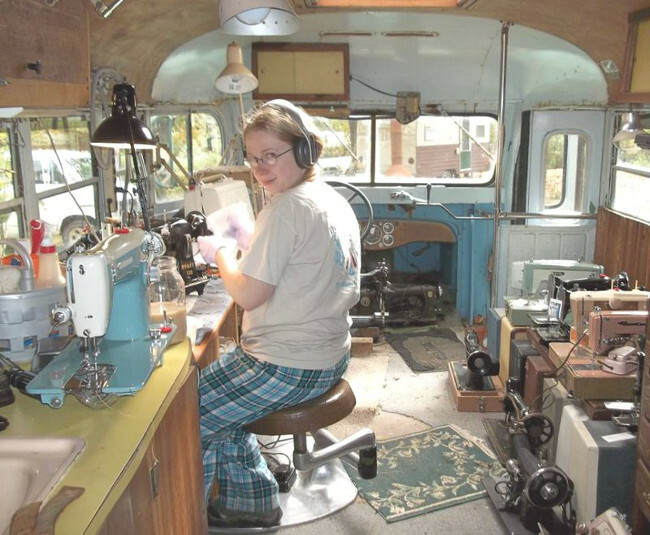 You can see some of her projects, including the conversion of a Pfaff 130 to a treadle machine, here. 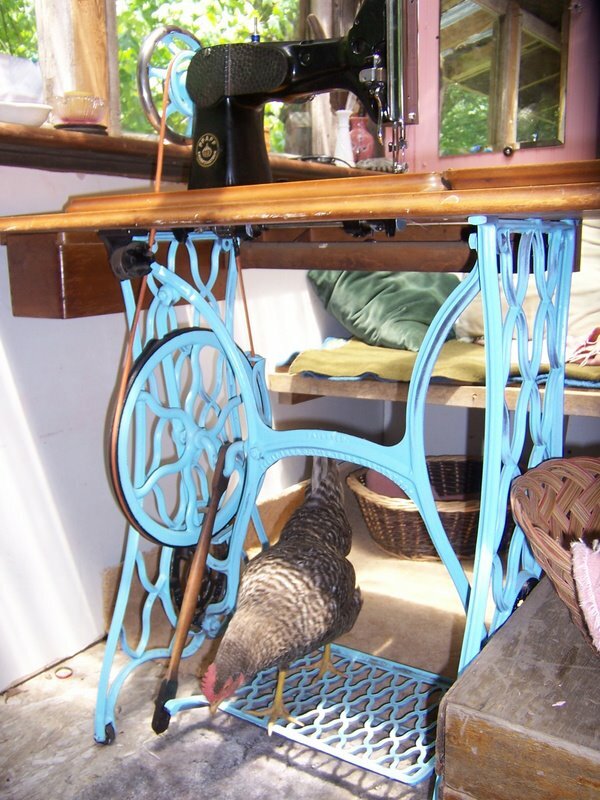 Listen here to her Sewing Machine Song, about a vintage Singer treadle machine. How does she do it, bringing tears to the eye with a song about a sewing machine? Aradia Farmer was dressed in homemade clothes as a little girl, so perhaps she was destined to love sewing, and sewing machines. The origins of her obsessive attention to detail are less clear, but the effects can be quite obvious. Once, she almost broke the axle of a truck by packing firewood in more tightly than the owner imagined was possible. Now, at long last, she is thrilled to have a job in which she literally cannot be too detail oriented: cleaning the exterior of vintage, precision sewing machines! Here at Stagecoach Road Sewing Machine, we know that details matter. Despite restored mechanical perfection, the exterior of any old machine is dirty, especially in the many tiny crevices and indents you never see when the machine is new. But cleaning all those places takes a patience that is extraordinary. That is why Aradia has joined us to clean and buff each machine to a sparking shine reminiscent of the first day it was sold. More about our detailers, Linda and Joey, later. We cannot, and would not, take away the honest wear marks of years of use from these beautiful machines, but we thoroughly enjoy making them the very best that they can be. You can see some of the nice things our customers have said about us, here.